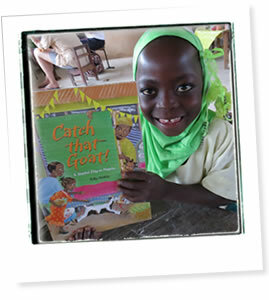 Pelican Post - Sending Books to Africa: Why Get Involved? Literacy - being able to read and write - is widely regarded as a basic human right. Reading also enables people to exercise other rights, to participate in decisions that affect them, to access vital information. And of course it's integral to the right to education. But without material to read, the right to literacy means nothing in practice. The consequence of this is that many people in Africa, having learnt to read in school or adult literacy classes, actually lose the ability to read once they leave the classroom. Worse still, the shortage of books and learning materials in African schools means that many children will actually leave primary education illiterate. Despite the central importance of books to securing human rights, they are often dismissed as frivolous luxuries. The education sector provides a good example. With the help of aid from rich countries, the number of children enrolled in school in sub-Saharan Africa has increased significantly. In recent years, school enrolment has risen from 77% to 85% - that's almost 10 million more children in school. But extra pupils have meant larger class sizes, fewer resources and poor educational outcomes. As a result, poor literacy and numeracy, high levels of grade repetition and low retention rates are common to primary schools across the continent. A wholesale absence of reading materials in schools is a key part of this problem. Where textbooks exist, they are commonly shared between up to 16 students. Other materials, like basic readers for primary school students, novels and non-fiction information books are unheard of in many schools. Books in schools, like medicine in hospitals, need to be recognised as an essential part of a school's infrastructure. Just as Aids activists have successfully argued that anti-HIV drugs are essential for securing the right to health of people living with HIV, we need activists to campaign for books to be regarded as essential tools in securing the right to read. The above text is an extract reproduced from an article written by Joseph O'Reilly for the Guardian. To view the complete article, please click here.